This needs to be read with reference to the email I sent about this change of these bus shelters. These problems are here presented in reverse order of worseness. Problem 1 - Complete obstruction of view. For people waiting at bus stops it is important that they can see (not just at the last moment) whether a bus is coming or not. It is even more important at these stops because the 23 and 24 (as currently numbered) are at separate stops and yet a high proportion (anyone going to Harborne) would prefer to get on whichever comes next. Also they would often prefer to know how far behind one of the same or other number is. 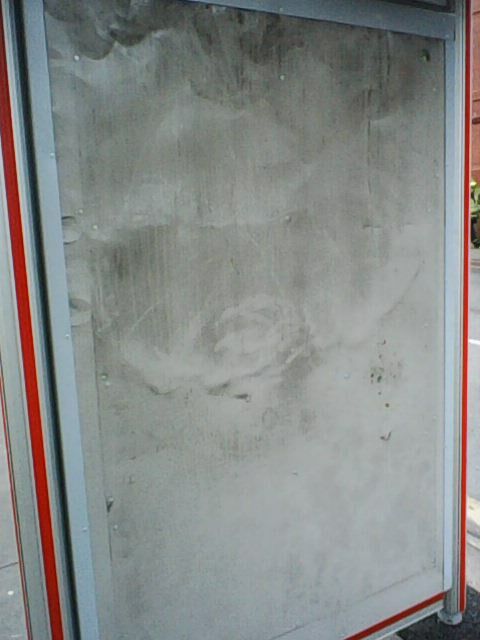 Before TfWM's abusive vandalism to the shelters, it was easy to see all the way to Broad Street, before the buses had got through TWO traffic jams at the roundabout (hence some minutes foresight). Now with this trash "improvement", you cannot see until the buses are already there and you are too late to react. 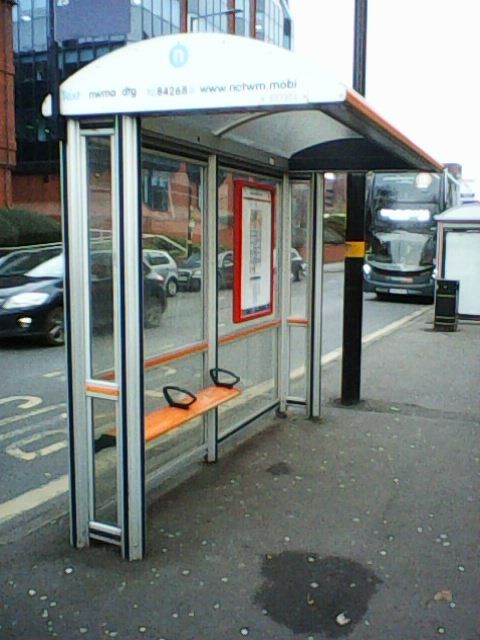 You can see the obstruction in the following pictures, showing the non-view from 24 stop obstructed by the no.1 pseudo-shelter, and the non-view from 23 stop obstructed by the 24 pseudo-shelter. 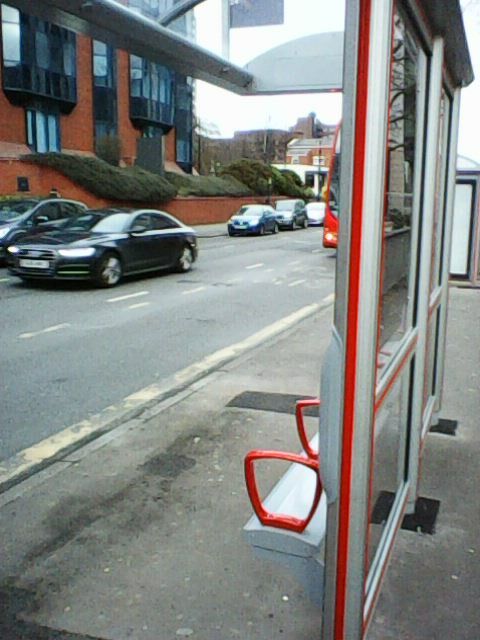 The fact that there is often a no.1 bus resting there doesn't help, though the view beyond the stops gets no better when it is absent. 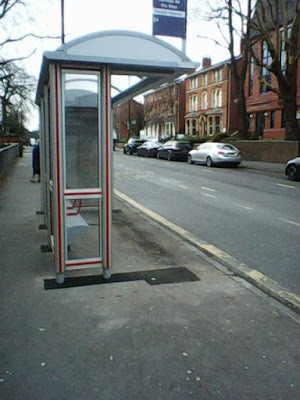 Problem 2 - Obstruction of the pavement. You can see this in the picture above. People trying to run (or walk for that matter) to get the 23/24 (or just along the road) will find their efforts blocked by the even less space to fit the crowd of people who often are present by the no.1 and 24 stops. I'm sure they'll be really grateful to the so-called "Customer Relations Executive" Rosie Lythgoe-Cheetham (who does sound like someone too posh to bother with the company of bus-slumming types). They will of course try to run round the other side (in the road instead) and get killed though "Customer Relations Executive" Rosie Lythgoe-Cheetham is clearly in far too superior a class to be blamed for any of that. Problem 3 - More a DIS-shelter than a shelter. The original shelters actually provided shelter from the road, from the noise, dirt, deadly danger, and toxic fumes. The new "shelters" give no such shelter and instead actually concentrate these negatives. 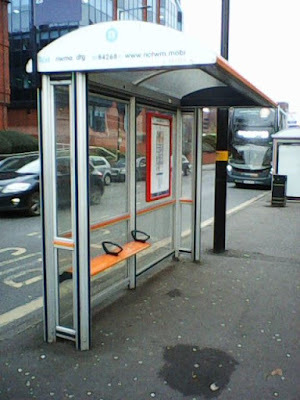 The original shelters could also help to prevent a bus-using-subhuman child from running into the road, whereas the new design provides no such restraint. This is partly evident in the photos above and clearer in the ones below, Firstly of the unchanged 23 shelter, and below it the new dis-shelters.